Fresh Donuts Donut shop in Corrigan. 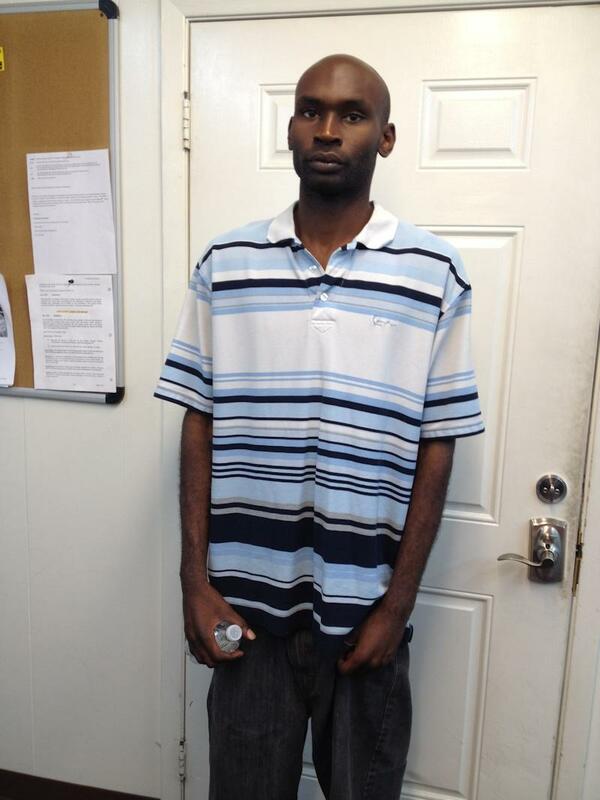 Corrigan Police Catch Alleged Repeat Burglar, CORRIGAN, July 4, 2014 - At approximately 3:42 am on July 2, 2014, Corrigan Police Department was notified that the front door of Fresh Donuts of Corrigan had been broken out. A money jar containing money collected for a hospitalized child in the community for medical expenses, had been taken. Officer David Hernandez and his K9 partner, Heston, responded to the location. Officers Heston and Hernandez arrived to find the front door glass of Fresh Donuts had indeed been shattered. At that time Hernandez along with the owners of the business secured the building. Hernandez and K-9 Heston tracked the scent of the suspect to the intersection of Front Street and West Street. At that point the scent was lost. Hernandez and Heston returned to the business and acquired information from the owner of the business. The owner had surveilance video of the incident. After further investigation by Chief Darrell Gibson, Officer Harold Rapsilver, and Officer Jacob Hopper another video was acquired from another business. In both cases, the suspect used the same method of operation, a rock through the glass to gain entry. Video enhancements were conducted and the suspect was identified as James Dondrell Woods, 27, of Corrigan. Woods was arrested by Sargeant Thomas Moye, Officer Harold Rapsilver, Officer David Hernandez, Officer Jacob Hopper and Officer Celestino Molina on Thursday, July 3, without incident. Special thank you: Johnna Lowe Gibson (Gibson snapped and provided the pictures for this story). Additonal thank you to Corrigan Police Department for providing information for this story. A large piece of asphalt allegedly used by Woods to shatter the glass door of Fresh Donuts in Corrigan. 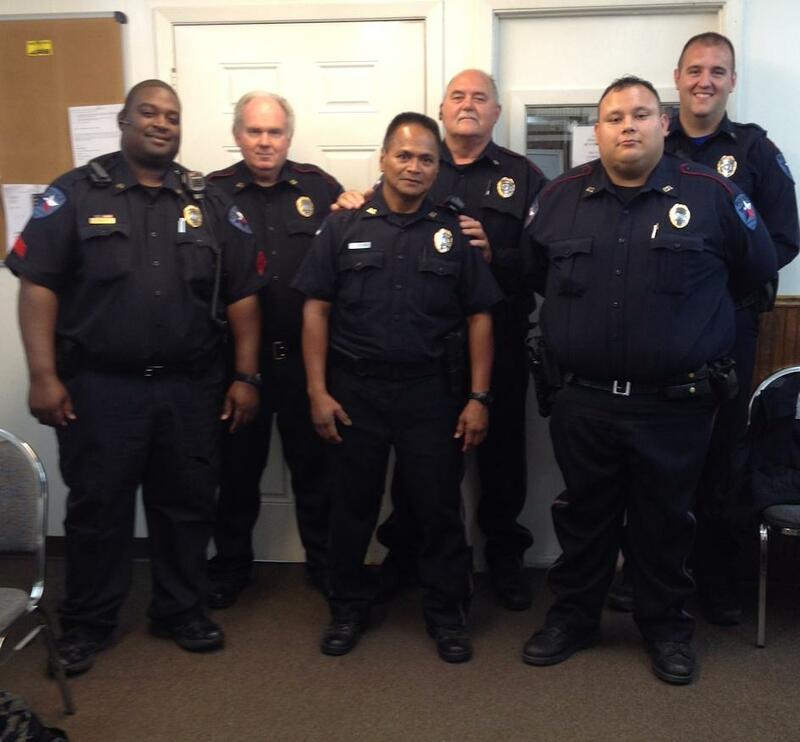 (L - R) Sargeant Thomas Moye, Chief Darrell Gibson, Celestino Molina, Harold Rapsilver, Dakoda Hernandez, and Jacob Hopper.